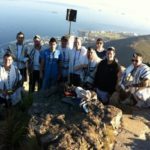 A new Chabad Tefillin app has strapped itself into a spot on Israel’s Top 30 Apps in the education category, with similarly impressive positions on the top 100 lists of France, Ukraine and South Africa. “The Tefillin Guide,” available on iPhone and Android, is apparently the new “don’t leave home without one” item for Lubavitchers everywhere. It contains everything you need for helping people put on Tefillin on the spot, as well as handy tools for regular Tefillin users and those new to the task. 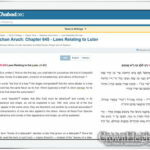 Its freshly launched 2.0 version is available in English, Hebrew, Russian, Spanish, French, Portuguese and Persian, with a “full version” (including the entire Shema and Ach Tzadikim) and an “on the go version” in each language. Such coveted spots on the top lists are easy to explain for this game-changing technological invention. The app was developed by the Saber Team, a New York based developing company which counts the legendary “Chayenu” and Tzivos Hashem’s popular “Jewish Kids Got Talent” among its clients. The team developed the app to be smooth, effective and super easy to use, a sure-fire way to get high rankings in an increasingly complicated world. Another compelling virtue is the way the app was brought to life by the highly sought after graphic designer Chaya Mushka Klein. Klein, whose exceptional work at Chabad World Headquarters is one of the secrets of success for the beloved Merkos Suite 302 and many other organizations, has also gained international acclaim in the graphic design world and is in high demand. The Saber Team managed to secure this designer for the app, who fashioned the sleek, sophisticated, yet uncrowded interface which drew it such rave reviews. 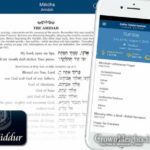 Some of the updated features of the new version include a front-facing camera, which can be used as a mirror to make sure Tefillin are positioned properly, as well as new languages. Word is that the next upgrade, which we have learned is scheduled to come out in late September, will integrate social networking into the experience as well as a compass that faces Yerushalayim. The app is completely free, sponsored in loving memory of Nochum Hersh ben Ephraim. It’s not compatible with my Android HTC incredible!